Hello everyone! Welcome to the ODBD September release!!! Can you believe it is September already? Honestly I cannot! Somehow I don't feel like I was done with summer! LOL! 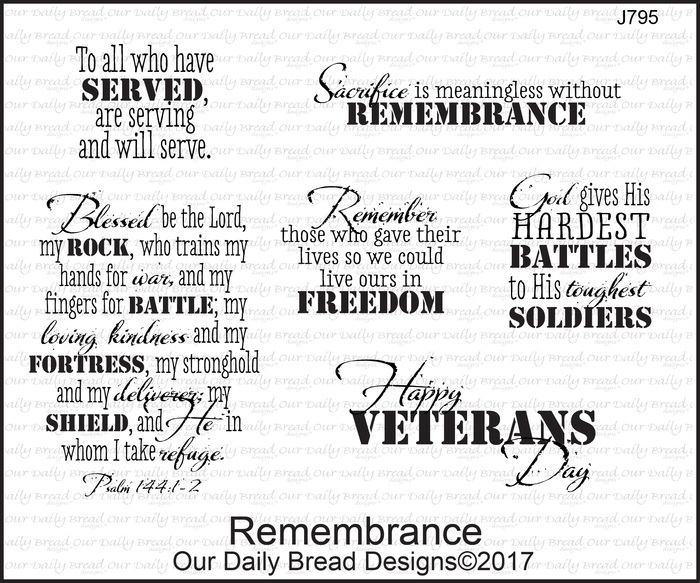 Well, whether I'm ready or not, it's here, and Our Daily Bread designs has come up with another amazing release! If you have not seen the whole release, you can do so HERE. As always, there are prizes up for grabs! 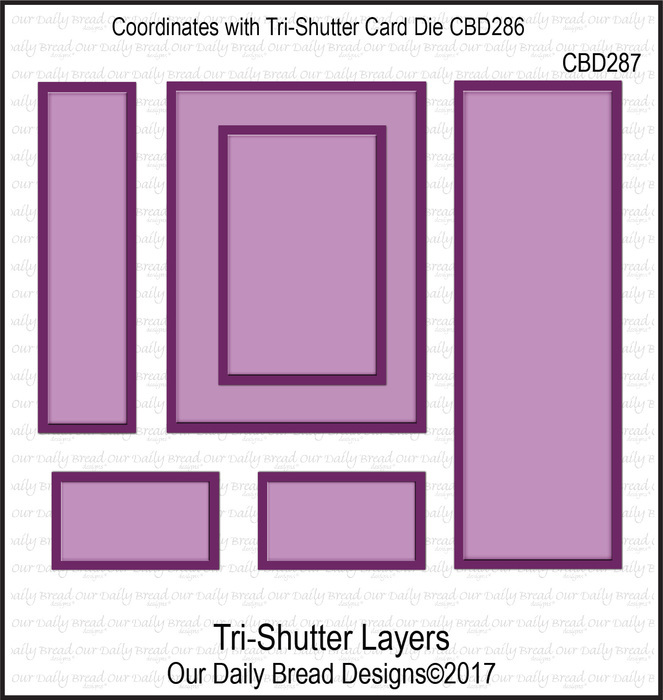 Among the many things released today, my favorites are two awesome dies for special fold cards, along with dies for the layers!!!! That is going to save bunches of time if you are a special folds person!!! For the card above, I used the Tri-Shutter Card die as well as the Tri-Shutter Layers Dies. 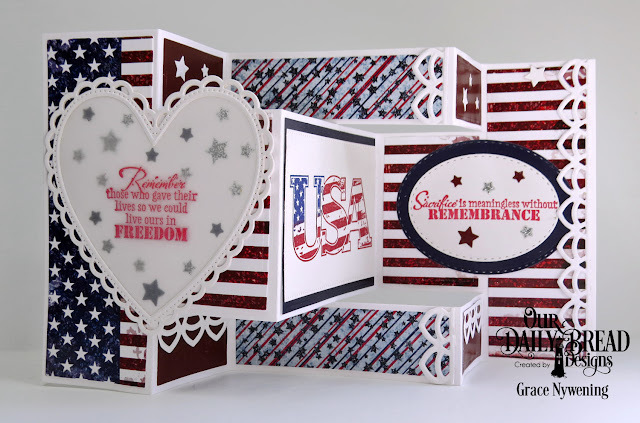 I used the new Remembrance Stamp Set, and the new Stars and Stripes Paper Pack. I also used past released dies: Ovals, Stitched Ovals, Balloons and Streamers, Sparkling Stars, Celebrate and Wish Word Dies, the bow from Circle Ornaments, and to cut the various elements added to the card, I cut many of them with the same Tri-Shutter Layers. I decorated with various stars and balloons, some cut with the Stars and Stripes paper, and some cut from Silver Glitter paper. I again used Tri-shutter Card and the Tri-Shutter Layers on the card below. I also used the new paper pack, Stars and Stripes. 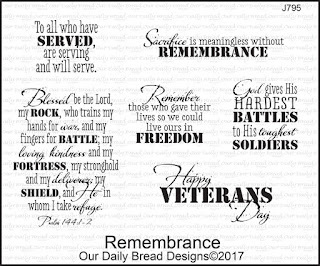 For my stamps, I used the new set called Remembrance, and for the USA image on the center panel, I used the USA single stamp. I used a few other dies from past releases: The Deco Border, Ornate Heart, Stitched Ovals, Pierced Rectangles, and Sparkling Stars. I simply chose papers from the new paper pack for my layers and cut using the layers dies; used the card die to cut the base from 12" white Bazzill paper, and cut mats and adornments from the paper pack and from silver glitter paper. I used a "faux" shaker technique, cutting the background with the Ornate Heart Die, then I added lots of little stars from the Sparkling Stars dies, and I cut another layer with the Ornate Heart Die, this time cutting from vellum. I topped it off with a third cutting of the lacy outer border of the die and adhered that over my vellum layer. I stamped the sentiment with Red pigment ink and heat embossed with clear embossing powder. I did the same on white card stock for my other sentiment, which was cut and then matted with a Double Stitched Oval. I used Memento inks to dual tone stamp the USA image, and cut that with a Pierced Rectangle. 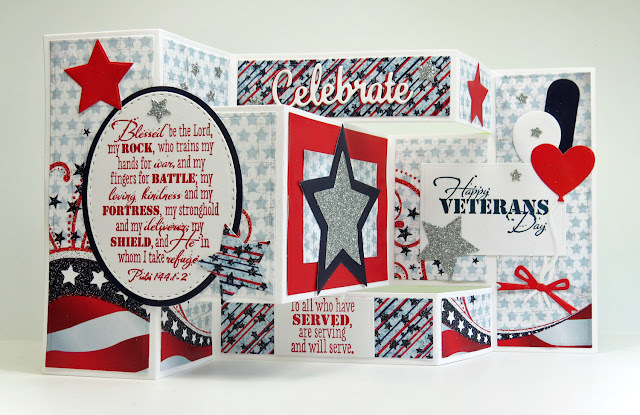 My card is decorated with little stars and parts of the Deco Border die cuts. It folds flat and is very mail-able. So that's it for me today. I hope you liked my samples and I hope you will love the fancy fold dies with their layers as much as I do!!! Absolutely beautiful! Loving these stamps and dies! The shutter card is AMAZING, Grace!!! Love all the layers and the sentiments. Both of your cards have so many fine details to delight the eye. Thanks for the inspiration. 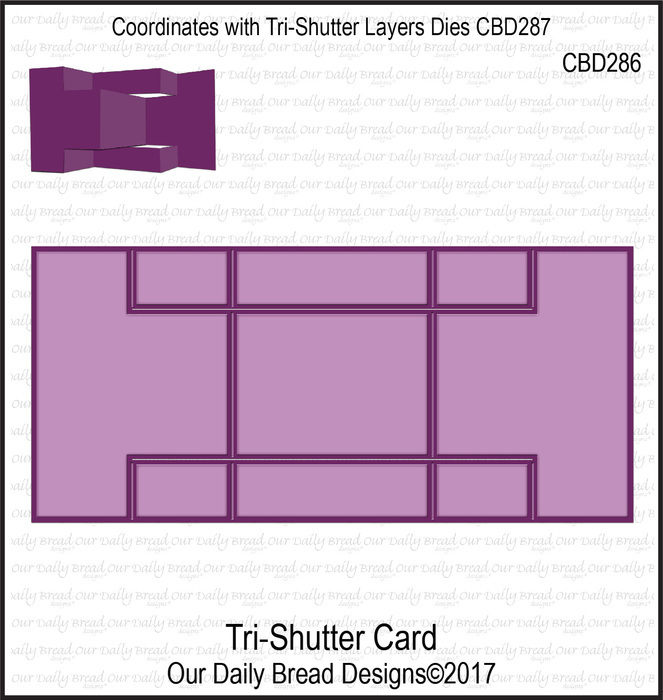 Fabulous Tri-shutter cards. 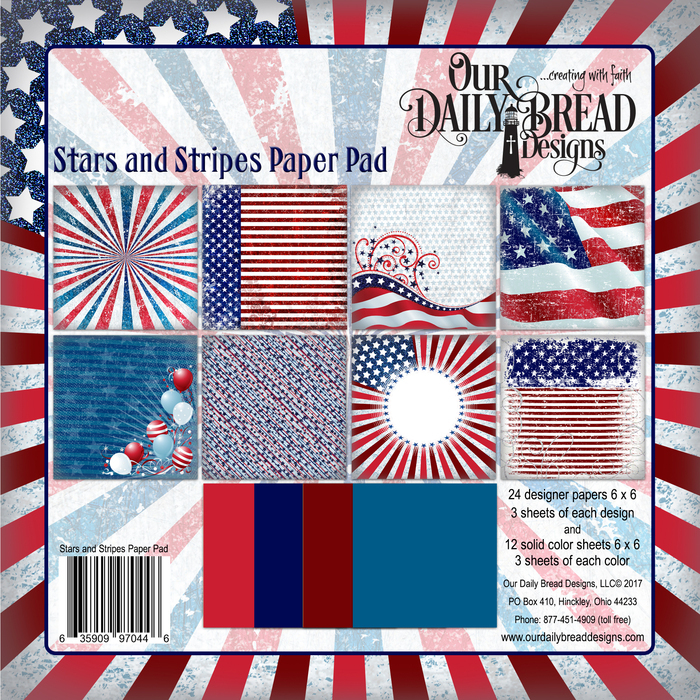 Love the sparkly stars and the patriotic papers. Your card would truly bring joy to it's recipient. It is a beauty with a great message. Your tri-fold card is amazing! I love it! I really love this release of stamps and dies. Wow you have really out done yourself on these cards ! Makes me want this release even more. Maybe with these dies I could make a shutter card without all the time normally involved. Wonderfully made. Thank you for sharing. wow! I would display these cards all month if I was the recipient. You did a wonderful job and the dies must make it so much quicker. Gorgeous tri-fold cards, Grace! The stars, stripes, and sentiments all reflect patriotism and love of country! What a beautiful display of this month's stamps and dies, my sweet friend! Hugs! You showcased this tri-fold card exquisitely! What gorgeous cards, Grace!! 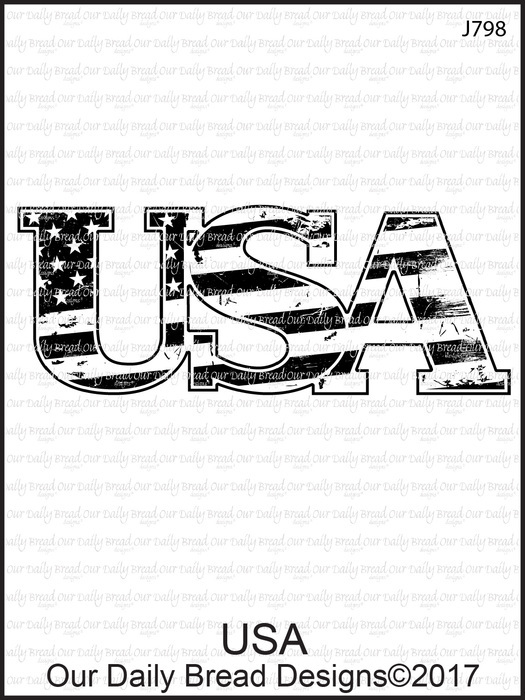 I so love the stars and stripes paired with the patriotic sentiments. The Tri-fold with the heart on the cover is awesome!! Gorgeous work as always my dear friend!! You are such an inspiration! Happy Labor Day Weekend!! TTYS!! Missed chatting this a.m.
Beautiful, beautiful cards Grace, you've done an amazingly beautiful job with both cards. so beautiful! love those dies for the tri shutter cards! Your cards are absolutely amazing. Love all the different elements you used. Wow! Fabulous tri-shutter samples, Grace!!! Beautiful! Such lovely cards!! 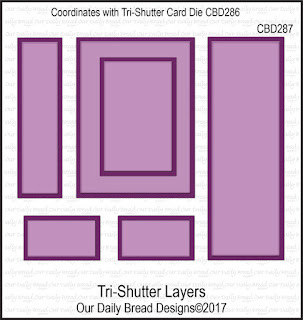 Love both tri-shutter cards!! So so pretty. Wonderful cards Grace - and I do like the look of those dies for fast, and accurate, preparation of the base and layers! Grace, as always you have managed to create the most stunning cards! I knew you wouldn't have any trouble with the Tri-Shutter and you designed wonderful cards that reflect so much patriotism!! Awesome!! Grace, both tri shutters are fabulous! Gorgeous, gorgeous!